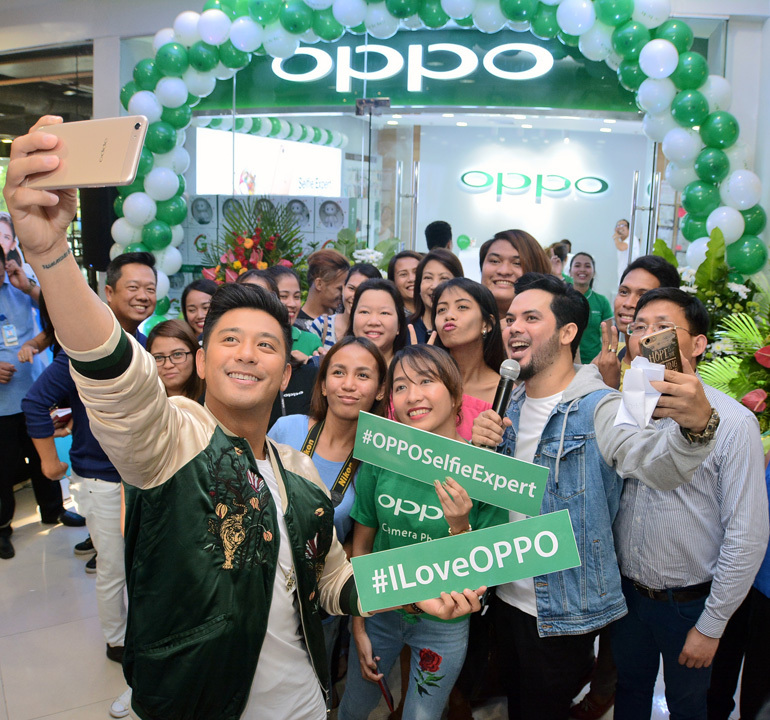 Electrolux Philippines introduced a new experience on clothing care through the FashionCare Campaign, launched during the company’s 15th Anniversary gala celebration with top fashion designer, Rajo Laurel. From everyday items to delicate designer pieces, clothes will retain their softness, shape and color with the innovative UltraMix™ technology in Electrolux washing machines so that your favorites looking newer for longer. Electrolux unveiled its FashionCare Council, composed of FashionCare ambassador Rajo Laurel, and Council Members Amina Aranaz-Alunan, founder, executive director and teacher of SoFA Design Institute, and Creative Director of fashion accessories and bag label ARANÁZ, and Janice Villanueva, successful mompreneur and founder of Mommy Mundo, to educate consumers on how to care for their clothes. When it comes to fashion, Amina shared that she loves intricate details and things that have a handmade quality – and of course, she wants to make sure that she has a washing machine that can handle these delicate fabrics. She also mentioned how her kids have a knack for wearing the same clothes over and over again. “Even if I shop for them, they have their favorites. So if our washing machine can preserve clothes and preserve the colors, then that would be such a bonus!” she said. Laurel uses Electrolux's products, showing that Electrolux can care for the most delicate fabrics in a satisfactory way. The Electrolux range of UltimateCare washing machines comes with innovations that prevent fading of colors, shrinkage and misshaping. The UltraMix™ technology gives you the results of a hot wash for better stain and dirt removal, yet uses a lower, gentler temperature. Detergent and water are pre-mixed in a special chamber before the beginning of the cycle to maximize cleaning power at a lower temperature. It delivers deeper clean and 31% better colour care, to ensure your favorites look newer for longer. Besides the powerful yet gentle cleaning of UltraMix™, Electrolux UltimateCare washing machines extend the life of your clothes with the innovative Vapour Action, which is designed to soften fabric while reducing allergens by up to 99.9%. It means your clothes get better care, stay bright and feel fresh for years to come. The Woolmark certified cycle approved by the Woolmark Company, the global authority on wool, will safely launder your precious garments. Electrolux UltimateCare utilizes the Eco Inverter technology that offers high energy efficiency and quality performance with minimal vibration. It reduces energy consumption by 75% and save time by 44%. You can also enjoy the flexibility and convenience to toss in forgotten items during the washing cycle with add clothes. Electrolux also unveiled its newest line of Top Load Washing Machines, also designed to give more care and result in less wear & tear of clothes in the wash. The Electrolux Cyclonic Care Top Load series not only offers efficient clean through its Cyclonic Tub Clean feature, where the tub and pulsator rotate simultaneously to create a scrubbing action, but also delivers gentle care for your clothes through the Cyclonic Care Pulsator and the Prism Drum. The Cyclonic Care Pulsator works by generating an upward water flow to help clothes circulate properly and reduce friction. Meanwhile the unique Prism-shaped Drum gently splits the dirt from the clothes the way a prism splits light, leading to a tangle-free wash that is gentler on clothes. For your woolens, the Cyclonic Care series also a Wool function, a cycle that dries this kind of garment with care. The Cyclonic Care washing machines come with inverter technology that leads to energy savings and lower noise. Feel fabulous and dare to be bold as your favourites and delicates are cared for with Electrolux. Discover how you can ensure your favourites look newer for longer, go to bit.ly/ElectroluxFashionCare and follow @ElectroluxPhilippines on Facebook and Instagram or @ElectroluxPH on Twitter. 1. Better care for clothes with 31% less colour fading after 52 washes. 2. Anti-allergen cycle at cotton 60ºC with vapour action. 3. In comparison between previous model EWF12932 and the New UltimateCare™ Model 12933. Independently tested and certified by Intertek. 4. Door lock will not be released if water temperature is above 50°C and water level is above drum. 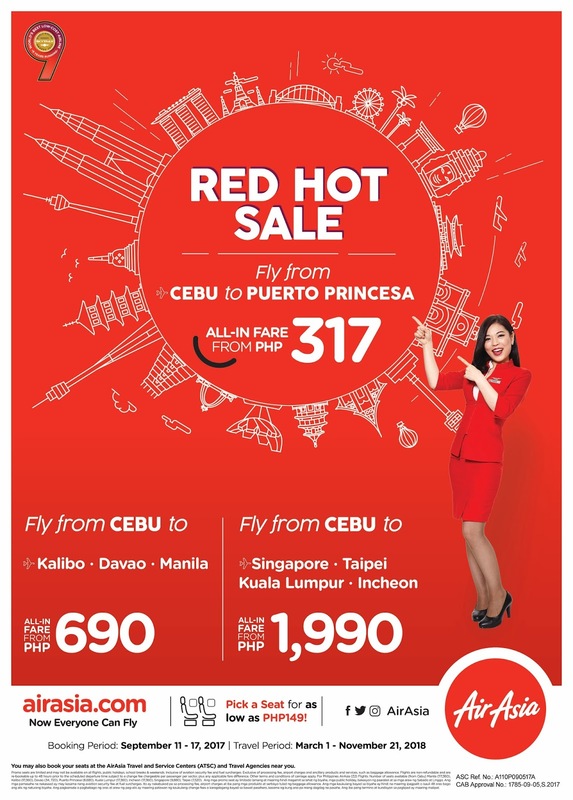 AirAsia’s Red Hot Sale is back, fly from Cebu and Davao from as low as P217! MANILA, 11 September 2017 – AirAsia’s red hot sale is back with promotional fares for Davao and Cebu now up for grabs from as low as P217 only. Book seats via airasia.com or the AirAsia mobile app from today until 17 September 2017 for travel between 1 March to 21 November 2018 to enjoy fares from as low as P217.00* for flights from/to Davao, Puerto Princesa, and Cebu. More exciting deals also await travellers from Cebu to Kalibo, Davao, and Manila from as low as P690 only while promotional fares for Davao to Maila, Cebu, Kalibo, and Clark start from as low as P590 only. AirAsia flights to international destinations are also up for grabs from as low as P1,599 for Davao to Kuala Lumpur and P1,990 for Cebu to Singapore, Taipei, Kuala Lumpur, and Incheon/Seoul. The AirAsia Group is offering up to 5 million promo seats during the red hot sale period from today until 17 September 2017 for flights from Kuala Lumpur to Penang, Johor Bahru, Brunei, Lombok, Shantou, Kolkata, Phnom Penh, Pattaya, Osaka, Perth, and many more. BIG Members get to enjoy priority access and will be able to make bookings on airasia.com and redeem flights starting from 0 BIG Points, exclusively via the BIG Loyalty mobile app from 10 September 2017 (0001h GMT +8). It's free to sign up as a BIG Member via airasia.com, airasiabig.com or BIG Loyalty mobile app to redeem promo flights during this promotion. AirAsia, the leading and largest low-cost carrier in Asia, services the most extensive network with over 120 destinations. Within 15 years of operations, AirAsia has carried over 350 million guests and grown its fleet from just two aircraft to over 170. The airline is proud to be a truly Asean (Association of Southeast Asian Nations) airline with established operations based in Malaysia, Indonesia, Thailand, Philippines, India and Japan, servicing a network stretching across all Asean countries and beyond. AirAsia was named the World’s Best Low Cost Airline in the annual World Airline Survey by Skytrax for nine consecutive years from 2009 – 2017. AirAsia is the first airline globally to collaborate with INTERPOL to implement the I-Checkit system to screen the passports of all its prospective passengers against information contained in the world police body’s Stolen and Lost Travel Documents (SLTD) database. Philippines, June 2017 - As the old saying goes, “health is wealth” and as the rainy season begins, moms needs to take even more care to ensure that their homes are healthy havens for their family. 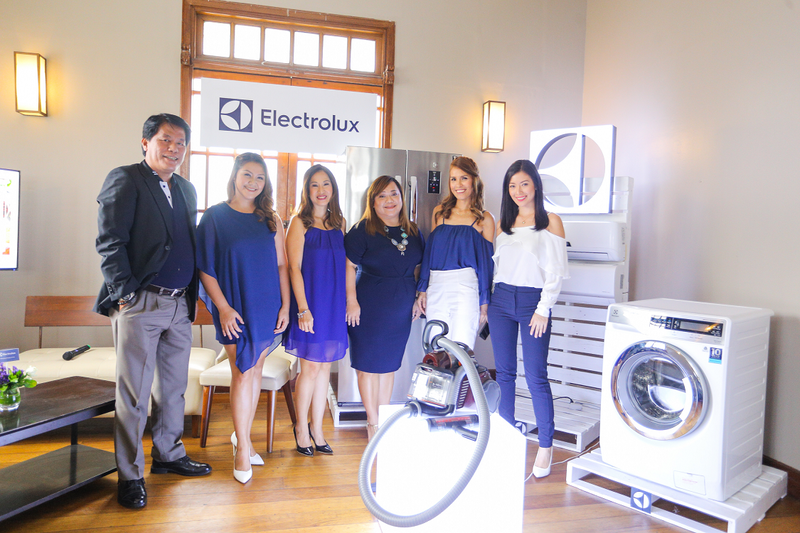 That is why leading home appliance brand Electrolux shared tips on how mothers can make their homes an #ElectroluxHealthyHome at the recently held Create a Healthy Home event at Circa 1900 in Cebu City. Celebrity guests Reena Malinao-Tan and Blinky de Leon and her mom, Angeles de Leon-Cornejo, shared some of their tips for moms on how to create homes that promote wellness. “Wellness for me is about attaining balance in everything: work and life, food, daily activities, relationships. 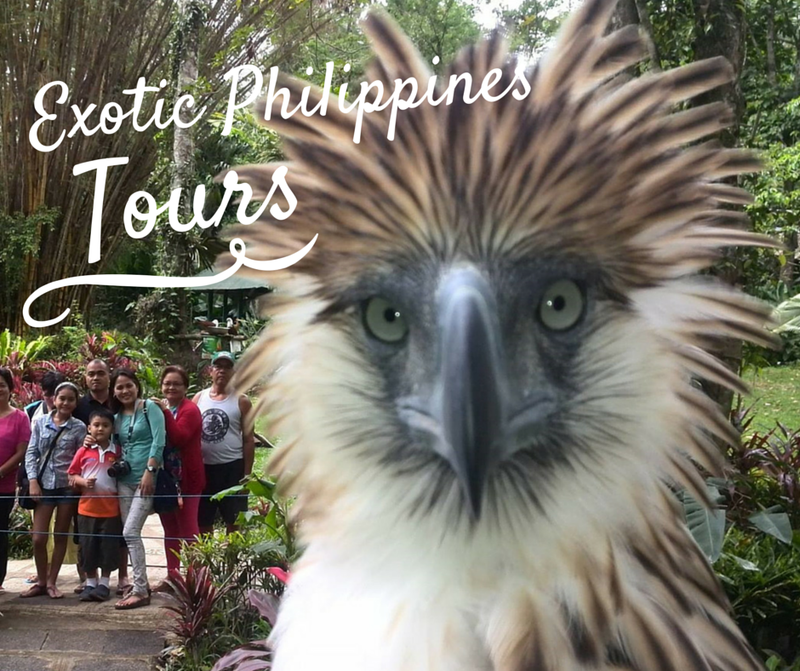 Wellness is a journey that must be enjoyed by every member of the family,” Malinao-Tan. “First is making sure we have a clean and relaxing place to live in. With a toddler in the house, I live by the tip ‘less is more’. My husband and son have allergies, so maintaining a good quality of air, free from dust is on top of the list. I’m also an advocate of natural and mild cleaning agents,” she elaborated. Malinao-Tan also talked about the importance of quality time with the family, making sure that they shared meals together, enjoy a regular day out (from a simple playhouse date with her little one to out-of-town adventures) and even gadget-free time in a day for them to enjoy each other’s company and shares stories of the day. (From left to right) Electrolux Philippines General Manager Nelson Cabanban, MagTV Host Reena Tan, Mommy Mundo founder Janice Villanueva, Electrolux Country Marketing Manager Andrea Pionilla, and Angie De Leon-Cornejo with her daughter, MagTV Host Blinky De Leon. Meanwhile Angeles de Leon-Cornejo talked about the importance of fitness. “I am a fitness enthusiast. I have engaged my children to do the same for I am a strong believer of how exercise benefits the human body. I encourage my hubby to play basketball with our son in our mini-basketball in our front yard on weekends. It’s also a way for them to bond. I also allow my children to do domestic chores to ready them for the future, when they have families of their own,” Angeles de Leon-Cornejo shared. 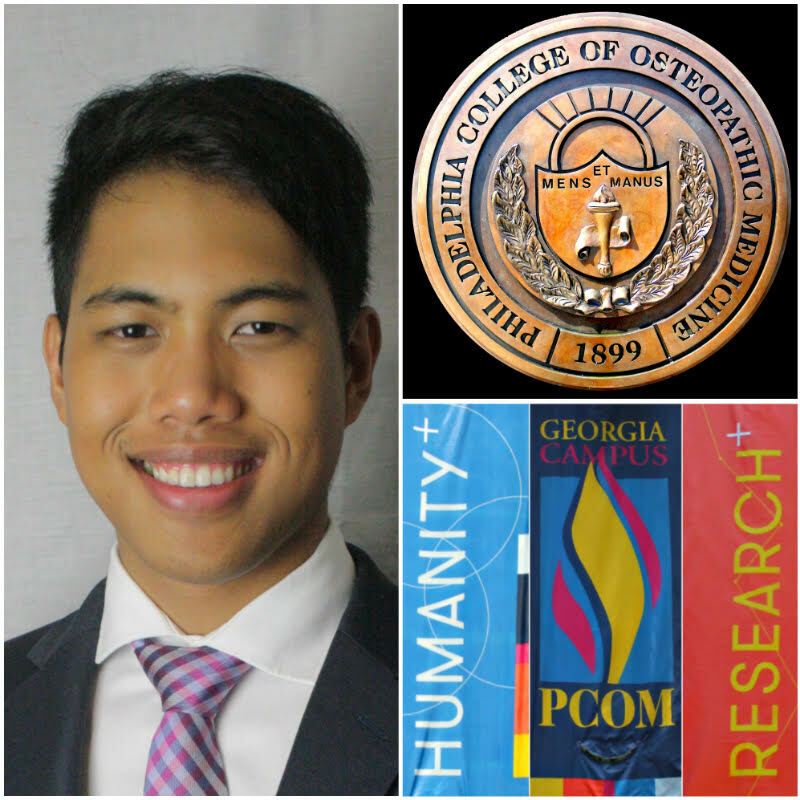 At home, Villanueva stressed, it is important to provide an environment that supports these wellness goals. Her tips include choosing products that do not contain or have less toxins and chemicals. She also mentioned the importance of regular cleaning of furniture because for her, dust is an enemy of physical and emotional wellbeing, as well as decluttering her home three or four times a year. When it comes to eating healthy, Villanueva shared that she sits down with her cook and educates her on using healthy ingredients and methods of cooking. She also talked about the importance of reading product labels “ because i want to know what is going into our bodies and our plates” and trying to go organic when she can. Along with these wellness tips, Electrolux also launched their latest appliances with features to promote better health in the home. With the Electrolux UltimateCare Front Load Washing Machine, families can enjoy clean and allergen-free clothes that look vibrant for longer. It comes with amazing features such as Vapour Care action and the UltraMix™ System. Vapour Care softens your fabric while reducing allergens by up to 99.9% while the UltraMix™ System delivers exceptional deep cleaning and better colour care through pre-mixing detergent with water that dissolves the solution before they reach the laundry and fully activating its cleaning power. With the Electrolux Vita Inverter Split-Type Air Conditioner, families can enjoy cooler and cleaner air while being eco-friendly and energy efficient. The Vita Split-Type Air Conditioner has an HD Filter that works to eliminate dust particles and bacteria-causing elements, and an Active Plasma System, where a cold plasma generator releases both positive & negative plasma from the air outlet to every corner of the room. It also comes with Inverter Technology, which not only results in benefits like low noise and optimal temperatures without sudden changes but also make the units eco-friendly and energy efficient. You too can create an #ElectroluxHealthyHome with their latest line of appliances: (from l to r) the Electrolux NutriFresh Inverter Refrigerator, the Electrolux Vita Inverter Split-Type Air Conditioner, the Electrolux UltraFlex Vacuum Cleaner, the Electrolux UltimateCare Front Load Washing Machine, and the Electrolux Cooking Range with Induction Cooktop & Electric Oven. The Electrolux UltraFlex Vacuum Cleaner not only gives families powerful cleaning performance but it also helps keep their homes dust and allergen-free. It includes features such as the Turbo Cyclonic Design and has 12 Meters Ultra Long Reach to make cleaning room to room easier. The UltraFlex Vacuum Cleaner also comes with a HEPA13 Washable Exhaust filter, which seals 99% of dust and allergens, and a Replaceable Carbon Layer. It has received 5 Stars SLG on Filtration Efficiency and was also awarded the Allergy UK Seal of Approval from the British Allergy Foundation. Healthy food often begins with fresh ingredients and having fresh produce in stock would definitely not be a problem with the Electrolux NutriFresh Inverter Refrigerator. The Electrolux NutriFresh Refrigerator comes with features such as the FreshShield Crisper that comes with a tight seal that allows fruits and vegetables stay fresh for up to seven days and the FreshTaste Deodorizer that attracts and absorbs stray odors and eliminates 99.8% of bacteria. Induction cooking offers many advantages over traditional cooking technologies and with the Electrolux Cooking Range with Induction Cooktop & Electric Oven, mothers would be able to prepare healthy meals for their loved ones with ease. The Electrolux Cooking Range with Induction Cooktop & Electric Oven allows moms to utilize induction cooking, which is proven to be faster, more precise and safer than other cooking technologies. With its precise temperature control, moms would never need to worry about undercooking or overcooking their food again. The range is also easy to clean and has a spacious layout, allowing moms to cook multiple dishes at once while the oven also includes a rotisserie to give moms even more options in preparing delicious dishes. Encourage wellness is in your home and family with the latest products of Electrolux. For more #ElectroluxHealthyHome home care and healthy living ideas, please visit www.electrolux.com.ph and follow @ElectroluxPhilippines on Facebook and Instagram or @ElectroluxPH on Twitter. 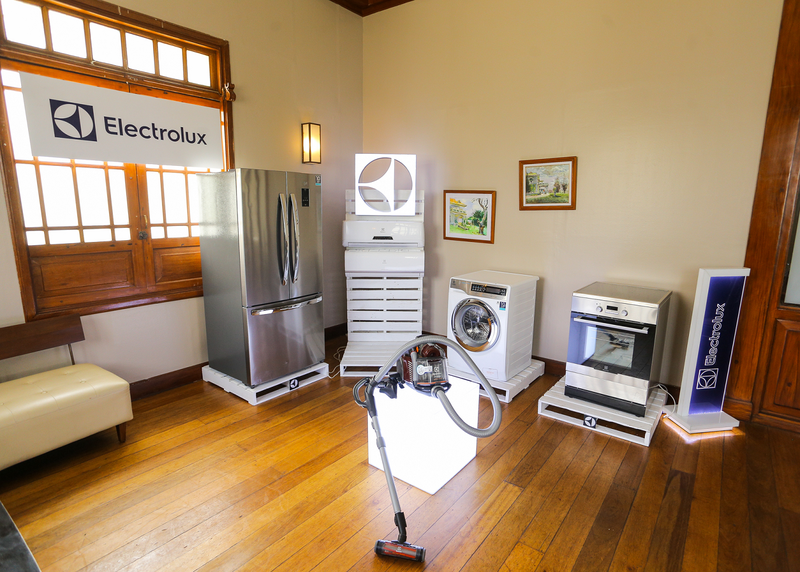 Electrolux is a global leader in home appliances and appliances for professional use, based on deep consumer insight. We offer thoughtfully designed, innovative and sustainable solutions, developed in close collaboration with professional users. The products include refrigerators, ovens, cookers, hobs, dishwashers, washing machines, vacuum cleaners, air conditioners and small domestic appliances. Under esteemed brands including Electrolux, AEG, Zanussi, Frigidaire and Electrolux Grand Cuisine, the Group sells more than 60 million products to customers in more than 150 markets every year. In 2016 Electrolux had sales of USD 14.1 billion and 55,000 employees. For more information go to www.electroluxgroup.com.